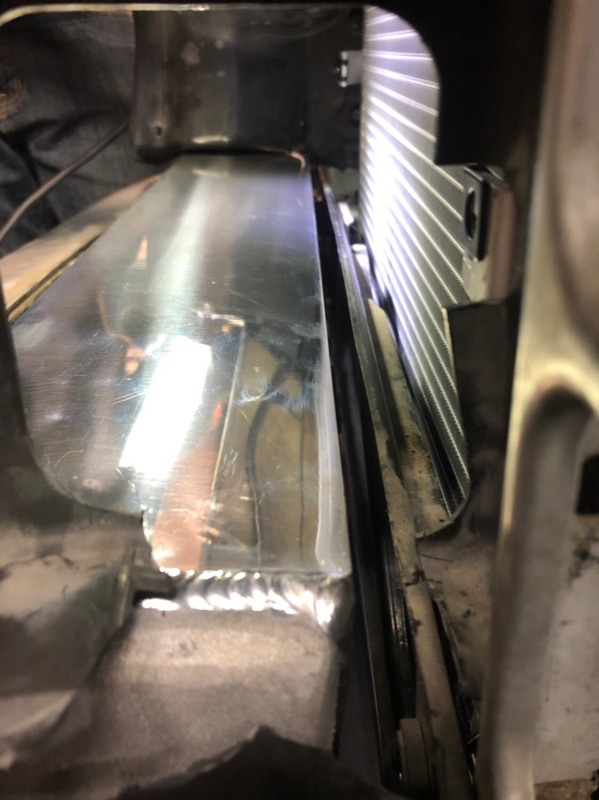 I am excited to be able to share with you the completion of our intercooler mounts. This is something we have talked about doing for a while and never taken the time to do. These are to be made out of stainless steel, Laser cut and CNC Bent. They will finish up very nicely and they should last longer than your floorboards. We designed these from the mounts on my car using a CMM arm. We tested both a TR1235, and a TR1245 intercooler and they both fit perfectly, with minimal cutting of the crash bar. 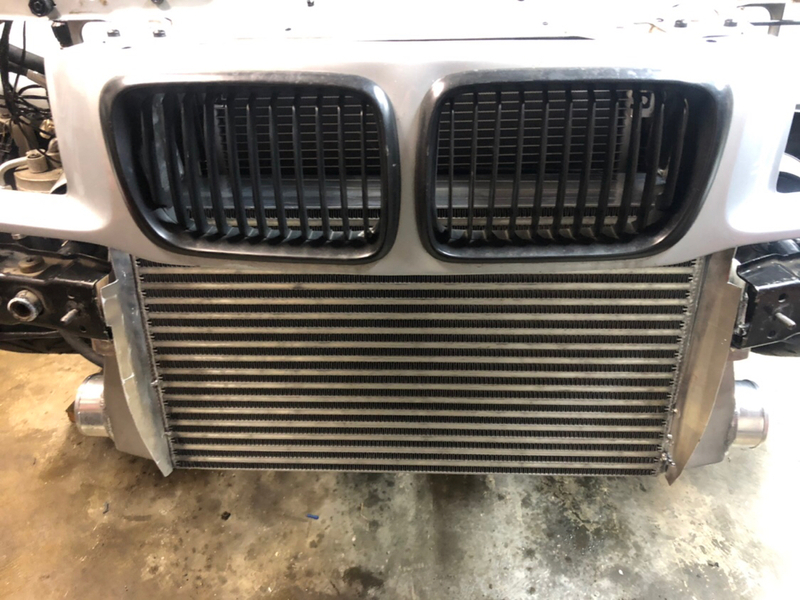 With this design you have two mounting locations, the front location is generally for a 1235 while the rear is for a 1245, but any end-tank-mounting intercooler of similar size will work. The lower mount location has a radius-slot allowing you to position your intercooler angled forward or angled back along a 21* or 25* slot. The tr1245 in the rear mounts sits almost flush with the condenser. IF you duct the front of the core it becomes basically a perfect setup. It's no secret that the Treadstone cores offer great bang for the buck. We install these cores on basically every car we build now. While the Tr1235 is used for most setups, a few of the bigger power cars have been receiving Tr1245's. The 1235 is rated for 760hp and comes in at ~$300 while the Tr1245 is a 1000hp core and rings in around $450. The bottom line is that's huge bang for the buck and we feel like it should really be the standard core for performance with this platform. Further if anyone desires to use a bell/Garrett/Precision core the treadstone end tanks are very cost effective or with your end-tank design you can easily accommodate the mounting points. WHAT POWER LEVEL DO YOU SWITCH TO THE 1245? I would run the 1245 if your goals are above 850bhp or you are at the limit of your turbo and above 750hp. HOW MUCH WILL THESE BAD BOYS COST? We are hoping to retail a pair of these guys at around $100 Shipped. For the next couple weeks of the preorder we will be doing about 20% less than the final cost. WILL THIS WORK WITH MY EBAY CORE? Yes! but you'll have to have a core with side mounts or weld bosses to the core. I suppose the more thrifty of you could even use self tapping screws! DO THESE CARRY A WARRANTY? Yes, If you have an issue with the quality, fitment, or shininess of the mounts we will replace them! They went out for quoting today, 2/27/19 is the expected date of arrival. Where do these bolt to on the chassis? I wonder if they'll work on my M Coupe. It mounts to the front bumper shocks studs. These perk my interest. Thank you for continuing to develop products for our cars and keeping bfc alive! Those look good to me! I bought a 1245 during a 50% off sale last year and it’s still in the box. Got any pictures with these mounted? Pictures of the mounts or pictures of the final intercooler location? This is with the 1245 4.5” intercooler. Once the snow melts out here I’ll get the front end in some light and take a good picture of the final. Last edited by vollosso; 02-07-2019 at 02:52 AM. I released the order on these guys so for the next couple weeks we will have pre-sale pricing for forum members. Finally \o/ Been waiting for you to finally get these going. Pre-ordered a set, thanks. I think the AC lines may be on his website already? I'm hoping what hes showing on the website is to replace all of the AC lines - I'm just looking for the line between the dryer and condenser to install a deeper intercooler. Great, thanks. 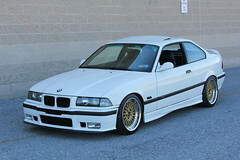 Intercooler brackets ordered! Yes, all that was removed was the aux fan. The ac still operates like this, but if you are stopped for a few minutes AC will not be as cold anymore. Remember the aux fan only kicks on after the condenser is saturated. I have run without an aux fan for the last few years with 100f+ days and only on maybe 2 occasions noticed it. If you wish to mount it with a slim fan and run a 4.5” intercooler you can use the front position on the bracket and probably fit a 2” fan behind the intercooler. this will require you cut the crash bar more. Depending on the fan thickness you might have other options. If it is ~1/2” or less you should be able to fit by just removing the original fan bracket and using the rear mount positions. Last edited by vollosso; 02-13-2019 at 03:55 PM. I can get you a measurement of how far the Spal slim fan sticks out off the condenser. Mine is mounted in the stock location. The stock AC lines from the condenser is the only thing not preventing me getting the IC from going back further. A relocation kit of the dryer would be nice this way the hot side piping can be routed right where the dryer stock location is. Not trying to change your ideas, just giving some ideas on some of the issues Ive encountered and Im sure others are having. These are getting completed today, so we will maintain the pre-sale pricing through Friday! Shipments should be dispatched on Monday! These guys are shipping monday! A huge thank you to everyone who pre-ordered these! They turned out super tasty! They look great. Any update on the custom A/C line? Will need that in order to take advantage of these new brackets. So I can do the lines on a type of core exchange, But I suspect you are talking about the cnc’d fitting? I drew it up weeks ago, I never had it quoted. It’s a bit of a complicated piece to machine and I had hoped my subconscious would find a simpler design. I’ll take a look at it tonight and either send it for quotes or I’ll redesign it. Updated condenser block design out for quotes today! Great, can't wait to see what you've come up with. Summer time is right around the corner, time for more boost! We installed one set of these on an ebay 4" intercooler core, for fun. IT was abut 1" longer than a TR12X5. We drilled and tapped the Ebay cast endtanks and used the mounts. Worked like a charm. Food for thought!